Burial will follow at Ft. Custer National Cemetery. When reflecting on the life of Joseph “Joe” Asenbauer, words such as hardworking, positive, and friendly come to mind, however, perhaps the word that paints the most accurate picture of his life is selfless. He was always looking for ways to help others. 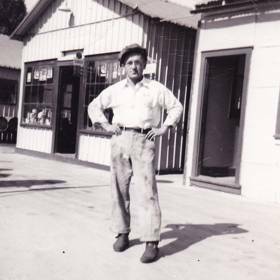 A natural tinkerer, he loved to use his creative mind to solve problems by troubleshooting nearly every homeowner’s fix-it conundrum. It brought him great satisfaction to be of purpose to others in need. Joseph was a friend to many and a stranger to none. His wonderful collection of memories will be his greatest gift to all who knew and loved him. The Roaring Twenties was a period of sustained economic prosperity with a distinctive cultural edge. Jazz music was booming, as well as the automotive industry, and the nation was seeing large scale industrial growth which brought about significant changes during this era. 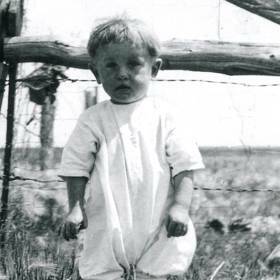 With the media focused on sports heroes and movie figures, Joseph Sr. and Rose (Opp) Asenbauer eagerly welcomed home their own celebrity, their newborn son, Joseph born on June 28, 1923 in Herreid, South Dakota. His birth brought his parents great joy.  Growing up during tough financial times, Joe learned early on the value of a hard day’s work. Sadly, his father, who worked tiresome hours at the local flour mill died when Joe was at the tender age of five. His childhood was a meager time with only hoop trundling for entertainment. Joe’s early adolescent years were typical of those in his generation where quitting school by the eighth grade was common in order to join the labor force and make a living to support the family. Luckily, Joe by nature was a hard worker and often woke at the crack of dawn to manage the fields or collect a day’s worth of freshly laid eggs. By sixteen years old, Joe joined the Civilian Conservation Corps (CCC); a public work relief program where he worked with the water control and infrastructure of the Dakotas. 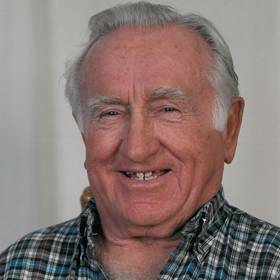 During WWII, Joe eagerly signed up for the United States Navy in 1943 and served as a gunner on a merchant marine ship until he was honorably discharged. 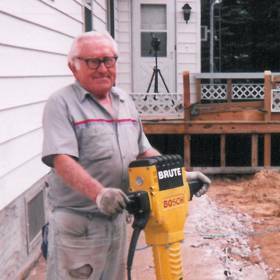 After his time in the service, Joe had a challenging time finding sustainable work and moved to Michigan in 1951. Settling in the Kalamazoo area, where his sister, Bobbie and his brother, Hank were living, he accepted a position with Allied Paper Company. The paper business was bustling at the time and Joe remained successfully employed with the company until the plant closed in 1970. In the meantime, he gave his energy to building residential houses, a craft he very much enjoyed and had dabbled in quite often over the years. Looking for more permanent employment, he secured a job with Western Michigan University in the building and grounds department. This position fit him well as he could draw on so much of his skill set during the eleven years he spent with WMU until his retirement in 1988. Born with a magnetic personality, a gentlemen’s charm, and the ability to put people at ease, it is no surprise that Joe was married three times during his life. He met his forever sweetheart when he met his loving wife, Arlene. The two of them enjoyed traveling together, especially road trips and took a very memorable trip back to his hometown of Herreid in 1995. 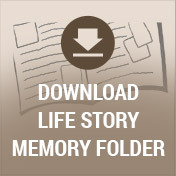 Joe relished in learning so much about his family’s early history and savored the time he spent there. Nothing brought him greater joy than being a father. He raised Joseph Jr. to be independent and gave him much of the same expectations and responsibilities that he had at a young age. For example, young Joe Jr. helped out by doing yard work and helped with various projects around the house. Joe was also a very nurturing step father, stern yet loving and easy to talk to whenever the children needed advice or help with a home project or two over the years. He was generous in sharing so much of himself. Whether it was life lessons he had learned or his never ending wisdom when it came to home improvement projects, everyone was grateful to be in his presence. Good with numbers, very organized, and a self-taught genius and visionary, there simply wasn’t anything that Joe couldn’t accomplish! A true people person who was compassionate beyond measure, Joe will be greatly missed and lovingly remembered. Joseph Asenbauer, a resident of the Kalamazoo area for more than 60 years, died March 20, 2017 at Rose Arbor Hospice at the age of 93. A Celebration of Life service will be held at 11 am Wednesday at the Betzler Life Story Funeral Homes, 6080 Stadium Drive; Kalamazoo (269-375-2900). The family will receive friends one hour prior to the service. Burial will take place at Ft. Custer National Cemetery, Augusta. 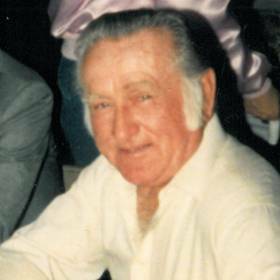 Joe was preceded in death by his siblings; Henry Asenbauer, Barbara Peckels, Wilburt Mitzel, and Rose Wetzler. Surviving family members are his wife of 34 years Arlene, his son, Joe (Stephanie) Asenbauer of San Diego, CA, numerous grandchildren and four wonderful stepchildren. Please visit Joe’s personal web page at www.BetzlerFuneralHome.com where you can archive a favorite memory or photo of him and sign his online guestbook. Memorial contributions may be made to Rose Arbor Hospice.